This Zakeke extension allows your customers to customize products in both 2D and 3D. This is the guide for Magento 1 integration. If you want to read the guide for Magento 2 extension, please refer to Magento 2 Guide. 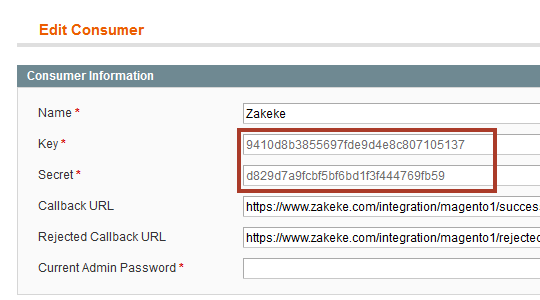 Download the Zakeke extension for Magento 1 from the Magento Marketplace page. After successful checkout, click Install on the order success page. 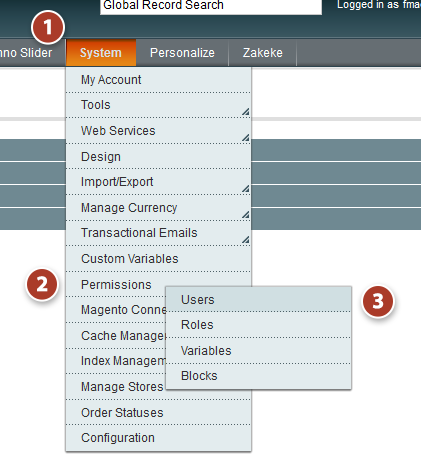 Go back into your Magento Store as Admin and navigate on System > Magento Connect > Magento Connect Manager. You'll be in the Extensions tab. Paste the Key URL you copied in Step 3. Click on Install . If you reload the extensions page, in most cases, you'll see the Zakeke module appears at the bottom of the list. Click on Return to Admin at the top of page. In the Admin page, navigate to System . In the drop-down menu select Configuration and in the left navigation select Zakeke Interactive Product Designer, then General Settings (Note: if you don't see Zakeke Product Customization, delete your Magento cache files, which are located in /magento/var/cache. Delete all folders within the cache folder and reload the page). Zakeke password: your Zakeke password. Finish by clicking on Save Config . Navigate to the Users permission page by going to System > Permissions > Users. Click on REST role and check Zakeke radio button. 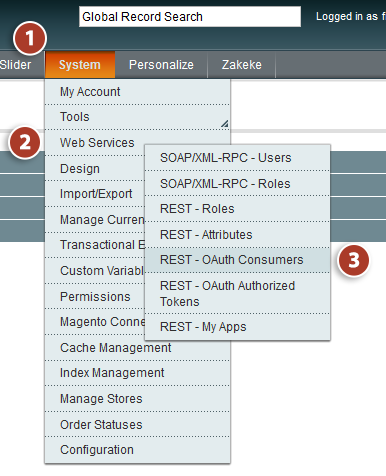 Navigate to REST - Attributes page by going to System > Web Services > REST - Attributes. Click on Admin from User Type. In the Resource Access drop-down menu select All. 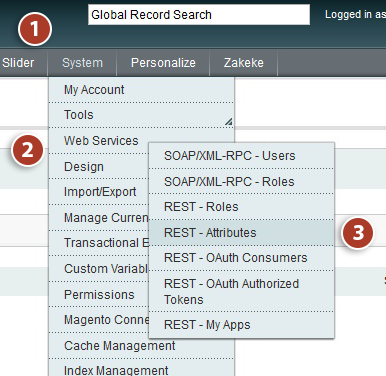 Navigate to REST - OAuth Consumers page by going to System > Web Services > REST - OAuth Consumers. Locate the line with Zakeke and click on it. Take note of Key and Secret values. Access to your Zakeke account and navigate to: ADVANCED > E-Commerce. You'll be redirected to your Magento Store OAuth dialog. Click on Authorize in order to enable all functionalities of Zakeke and to finish the process of plugin installation. At this point, you won't have any problems with Zakeke plugin on your store! If you have some troubles or problems, see FAQs.